Book Review: The Eternity Cure by Julie Kagawa | reading is the ultimate aphrodisiac. My good friend Janus tells me that she found The Eternity Cure too slow for her liking. I didn’t. It was relatively easy for me to finish this sequel. Simply put, Julie Kagawa‘s vampire series is bloodier, more menacing, and unmistakingly lethal than ever. Allison is stronger now, because she knew that in order to save her sire from his worst nightmare (hers, too), she needs to be in her top form. She doesn’t want to think about what (and who) she left in New Eden. Or her inevitable face-off with her blood brother. Or the monster that’s waiting for her when she finds Kanin. The predictability of certain twists was a bit sore for me, but the bloody gore made up for it. Allison was a “better” vampire, if you can call her that. I think that being a vampire made her more human than when she was a Fringer. I really, really Zeke here. He’s struggling with Jeb’s teachings clashing with his feelings for Allie. His emotions were blatantly displayed all throughout the book, and yet this made him more compact both as a soldier and as a human. The Eternity Cure is an impressive sequel. 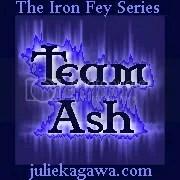 It made me think that even if I haven’t read the Iron Fey series, with Blood of Eden series alone I would still be a Julie Kagawa fan. 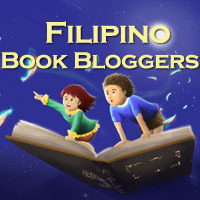 Pingback: Book Review: The Forever Song by Julie Kagawa | reading is the ultimate aphrodisiac.